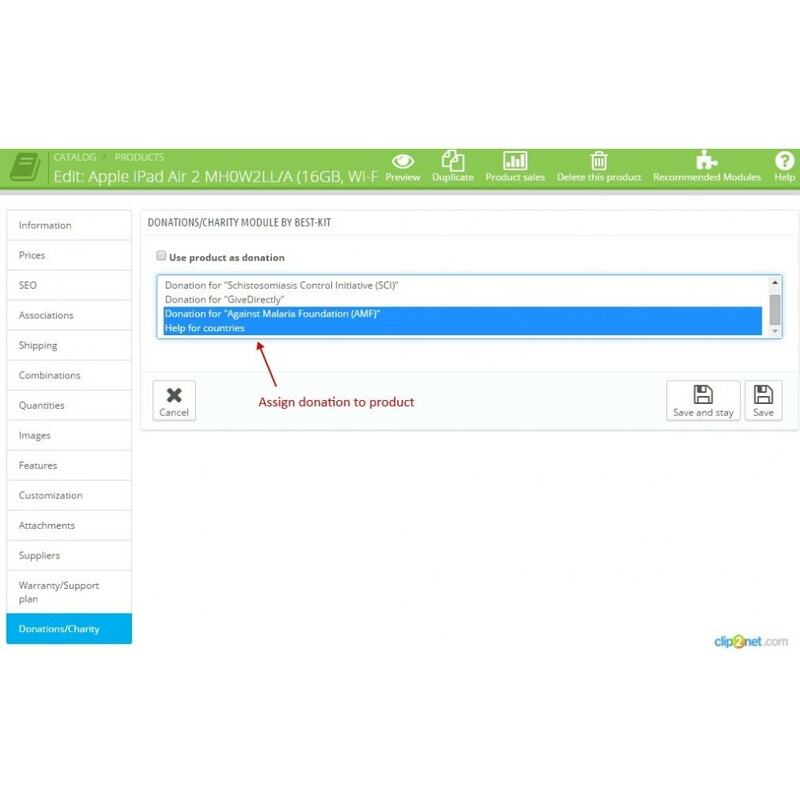 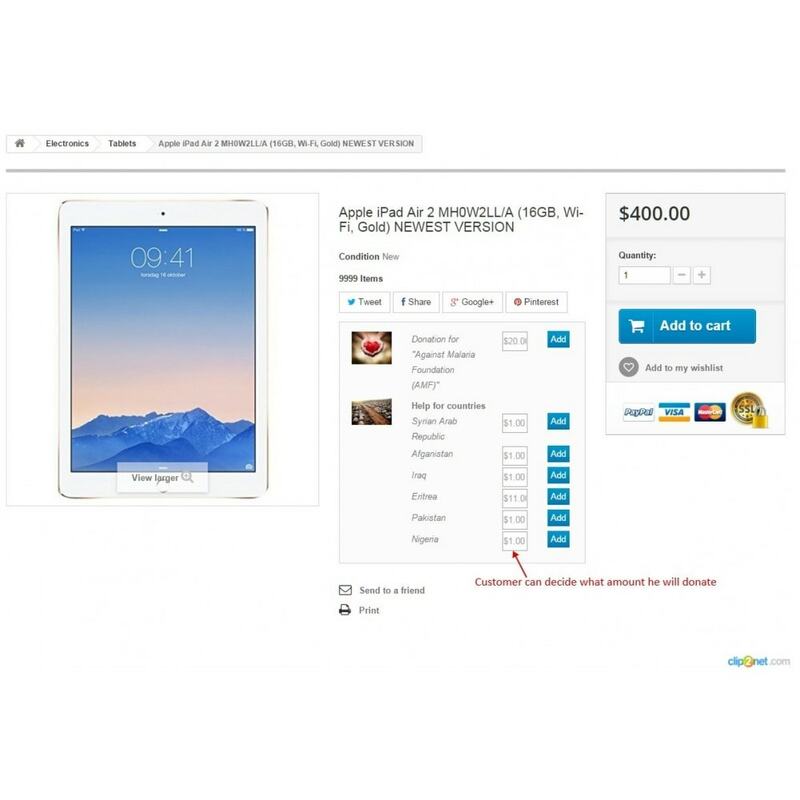 Allows to create donation products and also to accept donations from customers on the shopping cart and product pages. 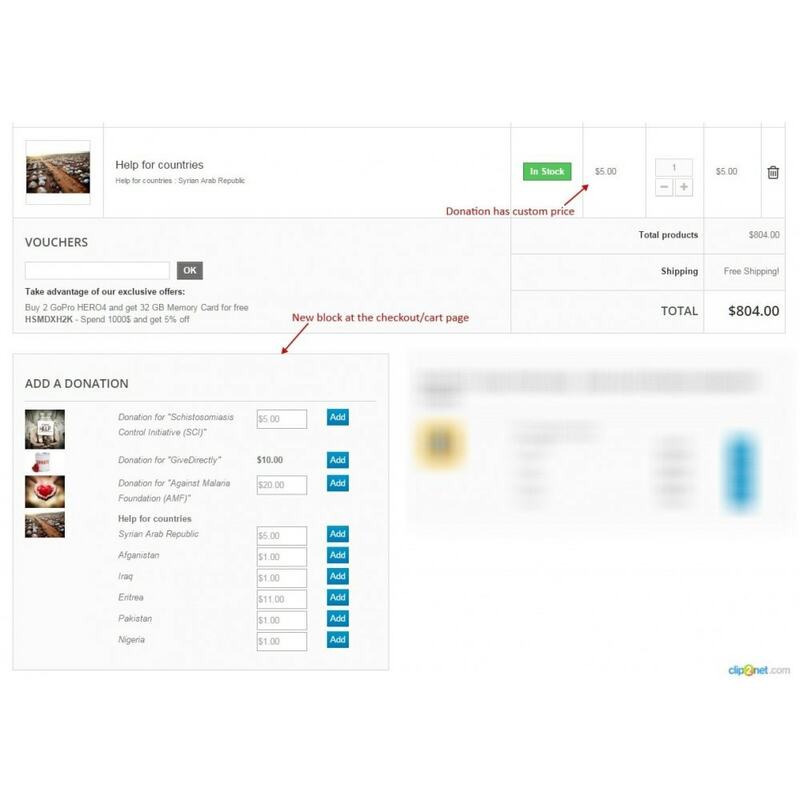 This is a customized tool extended of checkout process for customers to round up their change or add an extra fee to their balance for donating to a charity. 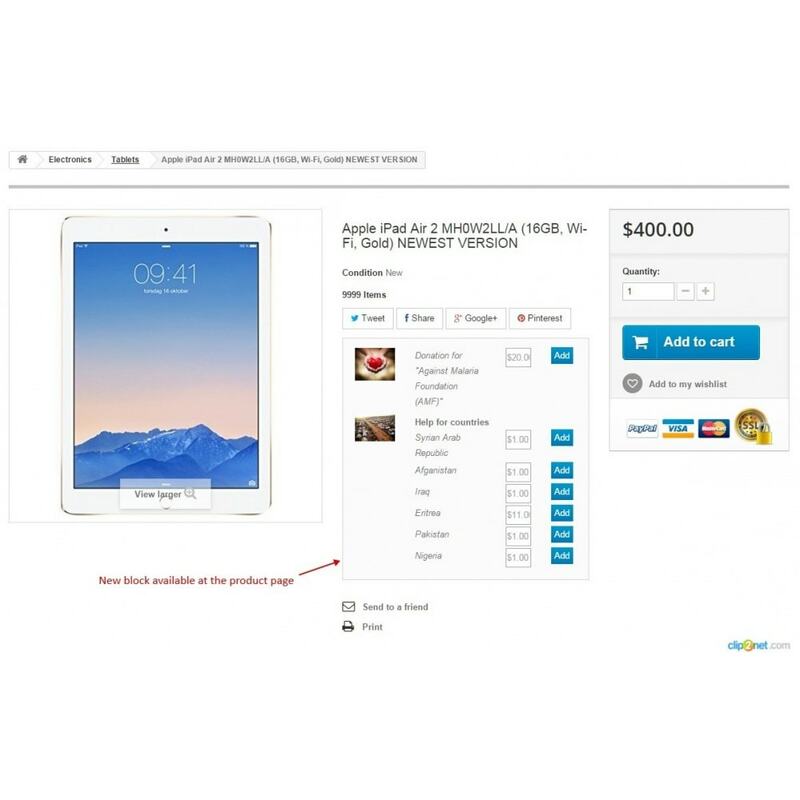 Customer can choose price for donation.